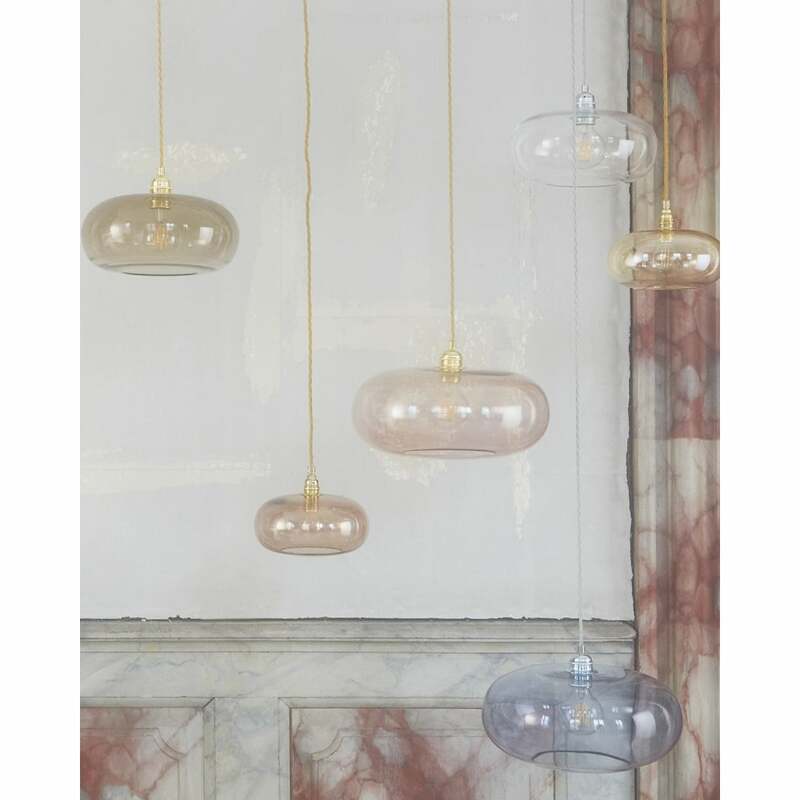 Brand new from Ebb & Flow for 2018 and enchantingly iridescent – Horizon’s charming, wide and gently curved, ceiling pendant design is reminiscent of rainbow-tinted soap bubbles softly drifting skywards, suspended in a moment of time captured forever. Use singularly or in clusters of diferent sizes and hues for an understated splash of colour guaranteed to electrify any room. Designed and hand-finished in Denmark and featuring delicate mouth-blown glass, these gorgeously unique designs are at home in any environment. Altogether, Horizon comes in 9 individual colours and each one in four sizes ranging from 21cm to 45cm in diameter. Gold or silver fixtures are available, with delicately twisted matching fabric wire. View All Ebb & Flow lighting for more information on HORIZON or view the complete HORIZON Collection.